Computer & language Lab: Well equipped with Internet and multimedia provisions, One computer for one student Oyster, provides the appropriate platform to the students to be future technocrats. The computer lab is used not just to hone the skills of computer geeks but also to provide an exposure to the novices Technology greatly assist teachers in classrooms to teach difficult and abstract subject matter concepts effectively with the right digital instruction materials, supporting technology infrastructure and intensive training is provided to the teachers to support instructions. Computer Lab is also equipped with English language lab software and hardware to make it a dual purpose lab. ICT & English Language lab: 21st century is characterized with the emergence of knowledge based society wherein ICT plays a pivotal role. Oyster, provides the appropriate platform to the students to be future technocrats.The computer lab is used not just to hone the skills of computer geeks but also to provide an exposure to the novices. Technology greatly assist teachers in classrooms to teach difficult and abstract subject matter concepts effectively with the right digital instruction materials, supporting technology infrastructure and intensive training is provided to the teachers to support instructions. At Primary and Upper Primary level, focus is on simple access to information and trying to compile different views and analyse them to conclude in one’s own way. At the Secondary level, gathering and structuring of data and computing to arrive at some reports are taken up from any subject to integrate ICT across curriculum. ICT provides the platform to the students and the teachers to work together in global competitive environment. Oyster ICT lab is equipped with 25 Multimedia based Dual Core HP-Compaq machines with Internet facilities for students. We have 1 computer for one student. Computer Lab is also equipped with English language lab software and hardware to make it a dual purpose lab. Science Labs:Science lab is equipped with Biology/Chemistry & Physics equipments and materials required for students with models to explain scientific concepts. 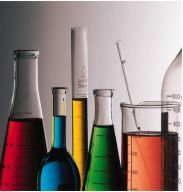 Grade 6 to 10 visit Science lab once in a week to get hands on experience on scientific concepts. The Oyster Science lab is a place for learning, experimenting , exploring and relating theory to practical learning. It gives an opportunity to young minds to satisfy their science related curiosities. Audio-Visual room equipped with sound and multi-media facilities offers a comfortable air-conditioned environment for various activities. All departments use it actively for exploration into the world of knowledge through films, documentaries, e-based learning programmes, project presentations and more. Oyster give Performing Arts a special place at curriculum and co-curricular arena. Performing Arts provide student self-expression and interpersonal skills. At Oyster students learn variety of Indian and western instruments. Every student finds expression to his or her rhythm and thereafter, hones these talents from contemporary to classical. Students are given training to learn different forms of dance- Classical, Folk & Western. Theme base dance team already given many professional performance in different shows & competitions. The School has adequate infrastructure to meet these above mentioned aims. There are four fields where students have the opportunity of developing their skills.